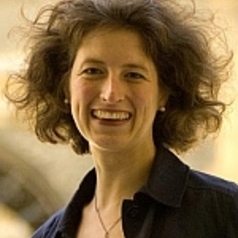 Katja Ziegler is Sir Robert Jennings Professor of International Law. Her current research concerns the constitutionalisation and intersection of legal orders in an international, European and comparative law context, in particular by human rights; and limits on executive power to resort to military force in constitutional and international law. She has been consultant to the European Parliament on the implementation of the Charter on Fundamental Rights and expert witness to the House of Lords’ Constitution Committee in its inquiry on war-making powers of the Government. She has been invited speaker at conferences in the UK, Australia, the Czech Republic, France, Germany, Italy, Spain, and the USA. Previously, she has been Reader in European and Comparative Law and Erich Brost University Lecturer in the Faculty of Law and Fellow in Law and a Fellow of St Hilda’s College, University of Oxford (2007-12) and DAAD Fellow and Deputy Director of the Institute of European and Comparative Law, Oxford (2002-2007). She also was and a lecturer at the University of Bielefeld, Germany (1995-2001). She is a qualified Rechtsanwältin (Barrister-Solicitor) and has worked in the Brussels office of an international law firm before returning to academia in 2002. She teaches in the area of public international, human rights, EU law and comparative constitutional law.